José Luiz Passos’s research and writing explore the role of memory and outsiders in modern Brazil. He is a Professor of Luso-Brazilian literatures and cultures in the Department of Spanish and Portuguese, and director of the UCLA Center for Brazilian Studies. His recent publications include the study Romance com pessoas (Novels of Personhood, 2014), which interprets Shakespeare’s influence on the 19th-century realist novel in Brazil; the novels O marechal de costas (The Back-Turned Marshal, 2016) and Antologia fantástica da República brasileira (A Fantastic Anthology of the Brazilian Republic, 2017), on the role of historical fiction in reshaping Brazilian political memory; and the novellas O marinheiro só (The Lonely Sailor, 2016) and A órbita de King Kong (King Kong’s Orbit, 2017). He has presented his research and fiction at numerous literary and professional meetings, including BRASA, APSA, the Paraty Literary Festival (Flip), the Rio de Janeiro International Book Fair, Brazil, the Guadalajara International Literary Fair (FIL), Mexico, and the Flipside Literary Festival, UK. 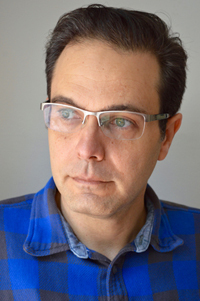 For his second novel, O sonâmbulo amador (The Amateur Sleepwalker, 2012), Passos received the Portugal Telecom Grand Prize and the Biennial Brasília Literary Award for best book published in 2012 and 2013. His current research focuses on American and European travelers in Brazil and creative writing. He has been a visiting professor at the University of São Paulo (USP), Brazil, and has taught creative writing workshops for rural, low-income communities in Recife, Petrolina, and Salvador, in the Brazilian Northeast.